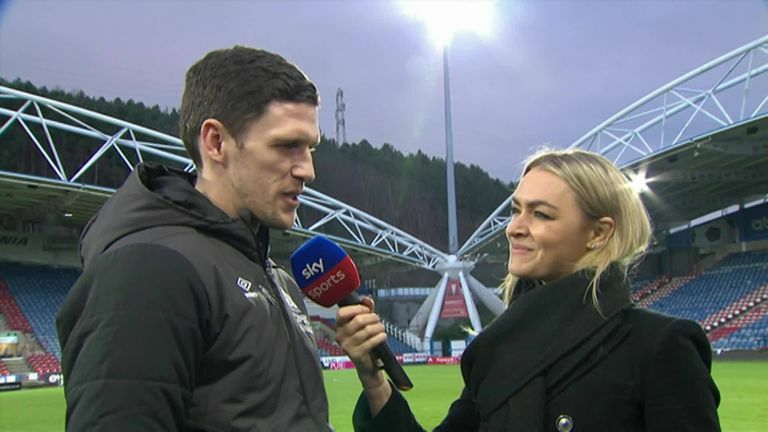 Huddersfield caretaker-manager Mark Hudson felt there were positives for himself and the players to take away from their 3-0 defeat to Manchester City. Huddersfield interim boss Mark Hudson was proud of his players despite seeing them swept aside by Manchester City on his first taste of Premier League management. City breezed past the Terriers 3-0 at the John Smith's Stadium on Super Sunday, closing the gap to league leaders Liverpool back to four points. This was Huddersfield's first game since David Wagner departed and 23 pages in the match programme were dedicated to his tenure. Hudson worked as U23s coach under Wagner and was pleased with the reaction of his players against City following an emotional week. "I asked them to take on board something in a week and show what they're about and they did," Hudson said. "We tried to cause them problems but the deflected goal put us on the back foot a little bit. "I felt we were growing into the game at that point, the shape was good. It was a tough early part to the week but we've been focused for the last few days and you saw that today. "It's been a busy week - the boss came in to say goodbye on Monday. It was tough, emotional as he created so many relationships within the club. Everyone stuck together to try and lift the mood and the players really enjoyed this week. "I've said thank you to them for everything they've given me this week. It's something I can be proud of and we'll see where we go." 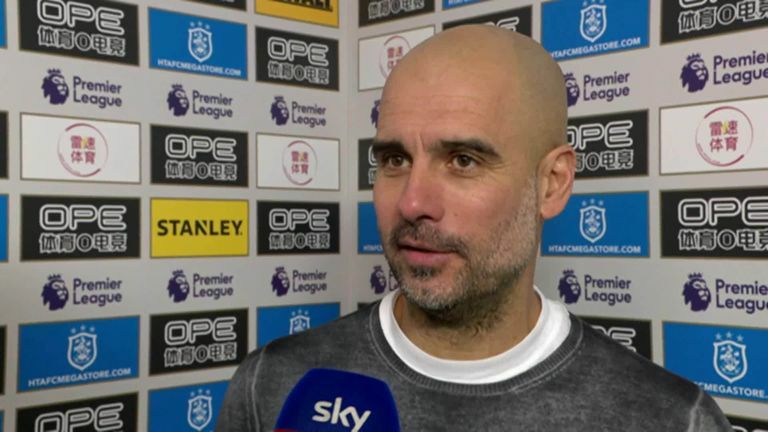 Pep Guardiola insists he's still looking for improvement from his Manchester City side following the 3-0 win against Huddersfield. Another blank in front of goal means Huddersfield have only scored 13 Premier League goals this season - the fewest in the top four divisions and they remain 10 points from safety. Asked what he knew about the vacant managerial position and if he would take the role full-time, Hudson said: "We've got 15 games to go as a club, we have to regroup and continue to keep going. "I'll still be here, fighting for this club. As much as I can do, I'll do. "I'd like to be part of this club which I am already. Whatever role I'm given I'll do my best."